The film showcases Knievel's rise from a small town rebel in Butte, Montana, to a cultural icon whose rise to super-stardom was built on nerves of steel and the ability to get up and do it again no matter the severity of the fall. 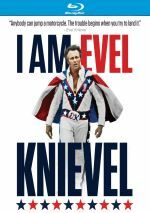 Arguably the last great “daredevil”, we take a look at the 1970s legend via 2015’s I Am Evel Knievel. The documentary offers the usual mix of archival footage and interviews. In the latter category, we hear from biographer Steve Mandich, chef Guy Fieri, stunt coordinator/friend Spanky Spangler, sons Robbie and Kelly Knievel, crew chief Ray Gunn, former wives Linda Knievel and Krystal Kennedy-Knievel, ABC Wide World of Sports producer/director Doug Wilson, bar owner/friend Bob Pavlovich, musician Kid Rock, Agajanian Prmotions president/CEO JC Agajanian Jr., JC Agajanian’s son Chris, Harley Davidson Chief Styling Officer Emeritus Willie G. Davidson, Knievel crew/daredevil Gene “Sully” Sullivan, professional skateboarder Mike Vallely, freestyle motocross champion Robbie Maddison, Evel Knievel Collection owner/curator Lathan McKay, stunt coordinator/former daredevil Gary Davis, action sports athlete/stuntwoman Jolene Van Vugt, dirtbbike distance jumper Alex Harvill, Knievel crew/friend Bill Rundle, and actors Michelle Rodriguez, Matthew McConaughey, and Bob Einstein. We also get old recordings of Evel Knievel himself. The documentary opens with Knievel’s failed 12/31/67 Las Vegas motorcycle jump and how this impacted his career. From there it leaps back to Knievel’s childhood to look at aspects of his early life and how he became a daredevil. From there we trace his rise to stardom and complications along the way. I was born in 1967, and any kid of my generation will likely boast fond memories of Knievel. We definitely got the version of the man with smoothed-off edges, as we saw him as a larger-than-life superhero sort. Heck, I owned a Knievel action figure when I was seven! The documentary offers a more three-dimensional view of the man that lets us see his weaknesses, though it tends to pooh-pooh Knievel’s darker side. While the film shows us his criminal background, it presents these activities in a manner that tries to make them seem insubstantial. We’re told he robbed federal banks but these activities get dismissed with his widow’s simple “we had to eat” – as though Evel couldn’t possibly have found a different method to support a family. Truthfully, Knievel seems like he was probably a pretty awful guy, but the documentary works hard to convince us otherwise. It’s not as sugarcoated as the cartoon version we kids saw in the 1970s, but the movie definitely devotes much of its running time to praise. Cripes, the documentary even shrugs off Knievel’s brutal attack on a journalist. Gene Sullivan offers the sole dissenting view, but the others present this sordid event in a crude “the guy had it coming” manner. The movie’s relentless refusal to provide anything other than a glossy, chipper view of its subject becomes a major issue. Which is a shame. Whether Knievel was good, bad or somewhere between, he seems to have been an interesting figure, and he remains essentially unique – how many other daredevils became household names? Because Knievel works so hard to present little more than the legend, though, we get a largely two-dimensional view of the man that ironically makes him seem less compelling than he probably was. The documentary becomes a bore because it lacks any form of objectivity, as it’s nothing more than a thin hagiography. 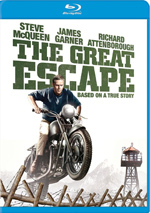 I Am Evel Knievel appears in an aspect ratio of approximately 1.78:1 on this Blu-ray Disc. Given the nature of the production, the picture quality seemed pretty positive. I didn’t factor the archival material not shot explicitly for Knievel into my grade. Those elements demonstrated a mix of flaws, but it didn’t seem fair to criticize the disc for problems that seem inevitable with that kind of stuff. Given the film’s focus, I expected little from the DTS-HD MA 5.1 soundtrack of Knievel and I found it to provide a mildly involving effort. Of course, dialogue remained the focus, as the majority of the film’s information came from interviews or other conversational bits. Music showed good stereo spread, and a few effects appeared on the sides, but this was mostly a centered track without much ambition. Any use of the surround channels remained minimal and barely discernible. Audio quality seemed fine. Speech was consistently crisp and concise, with no issues connected to edginess or intelligibility. Music and effects remained background elements to a substantial degree, but they seemed well-reproduced and clear. Ultimately, the audio of Knievel suited the film. Two featurettes show up here. Evel Knievel Lives On runs four minutes, 50 seconds and includes comments from Evel Knievel Collection owner/curator Lathan McKay. We learn of his efforts to keep the Knievel name alive as well as aspects of the Collection. We get a few good looks at memorabilia but nothing more. I find it odd that McKay believes that somehow the Legend of Evel will save the world – and his belief that Knievel was the only real person to star in a comic book is radically off-base. Inspired by Evel lasts 15 minutes, 19 seconds and features notes from action sports athlete/stuntwoman Jolene Van Vugt, freestyle motocross champion Robbie Maddison, Harley-Davidson Chief Styling Officer Emeritus Willie Davidson, stunt coordinator/former daredevil Gary Davis, stunt coordinator/friend Spanky Spangler, dirt bike distance jumper Alex Harvill, Knievel crew/former daredevil Gene “Sully” Sullivan, son Robbie Knievel, professional skateboarder Mike Vallely, and actors Bob Einstein and Michelle Rodriguez. They tell us about Evel Knievel’s legacy. Like the main feature itself, this becomes bloated fluff that acts solely to praise Evel. At its start, I Am Evel Knievel looks like it could become an involving examination of an unusual legend. Unfortunately, the documentary quickly becomes mired in little more than praise and happy talk, so we end up with a thin depiction of the man himself. The Blu-ray offers pretty good picture as well as acceptable audio and insubstantial supplements. I Am Evel Knievel delivers a monotonous puff piece too much of the time.